If Sir Winston Churchill was right, then I should be very successful. We all make tons of mistakes. And I am not an exception. My mistakes nowadays may not be as big as they were at the beginning of my freelance career, but I still make them and do my best to learn from them. I also watch others make mistakes and I do my best to learn from them, too. So here's the list of major mistakes in freelance business I made since 2007. Hope it helps other colleagues to learn and grow. And you are welcome to share the mistakes you made, so we can all learn from one another! 1. I didn't search the info about new clients. I didn't realise that I could run into scammers. And even if I knew that a client didn't pay some other freelancers, I still thought that maybe it was a misunderstanding, and I will be paid for my work nevertheless. I was wrong. 2. 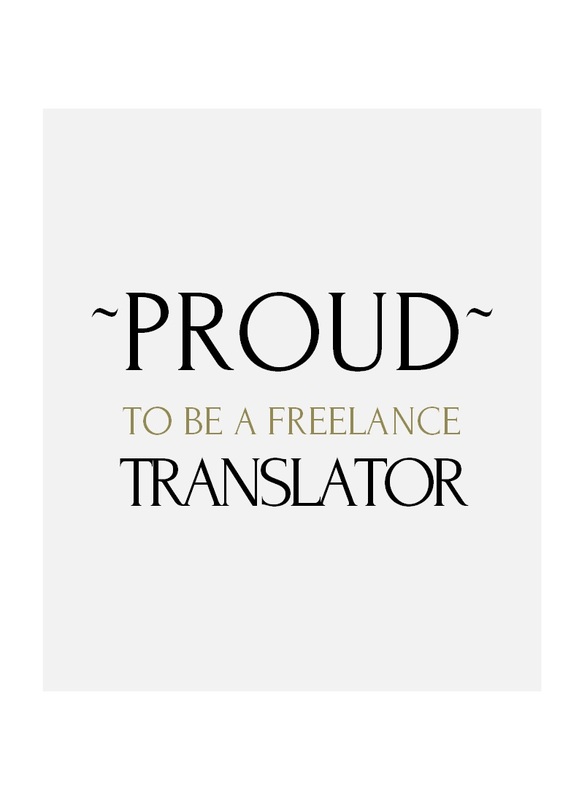 When I just came into the freelance translation, I was so intimidated by competition that I was ready to work for the smallest possible amount of money. I thought that if I charged little and worked a lot I would earn a lot. In reality, it led to exhaustion and frustration. I didn't have time for anything else except work. 3. I didn't market my services. I thought that completing my ProZ profile and registering in a few other translation portals was enough for a continuous stream of regular clients. That lead me to the crisis point in 2008-2009 when the agencies I used to cooperate with stopped working with the Russian language and thus stopped sending me new projects. 4. I didn't diversify my income streams from the very beginning. I thought it was enough to just do one type of services, namely translation, and work for only a couple regular clients. But several pretty long slow periods taught me the value of diversifying my income streams. 5. At first I was very careless and didn't back up my files. You can guess what the result was, right? 6. I couldn't say 'no' to clients. As a result, I got overworked and exhausted, and this exhaustion compromised the quality of my work. 7. I didn't know how to handle criticism. As a result, I got offended when I should have been listening and learning. 8. I spent everything I earned. I have shared more than once already that money matters is one of the hardest things for me in freelancing. It's not a big problem for some people, but for me it still is. 9. I didn't realise that the moment I became a freelancer I also became an entrepreneur. During the first couple years of freelancing I still had an employee's mindset and I didn't realise that I was building my business. Instead, I treated freelance translation as a hobby. And that wrong attitude lead to wrong business decisions. 10. I didn't have a vision for my business. I just wanted to translate. Partly, it was because I didn't treat freelancing as business. Now, as I see how it has evolved and how I have changed, it amazes me. And I can see that my business started growing much faster the moment I started making goals and tracking my progress. That's only a small portion of all the mistakes I made. You know what's the good thing? I learned from them, thus turning them into a positive experience. Freelancing turned out to be the most challenging and changing experience in my life. It makes me change, it helps me grow, and that's why I love it so much. What are some of the worst mistakes you made as a freelancer? And what did you learn from them? Looking forward to your comments!